The proliferation of digital devices mean that we’re constantly connected to the office, wherever we might be. It can become difficult to switch off from work. Whether it’s a two-week holiday or a twenty-minute respite at work, taking a break and disconnecting from all things digital and work-related has a number of important benefits. 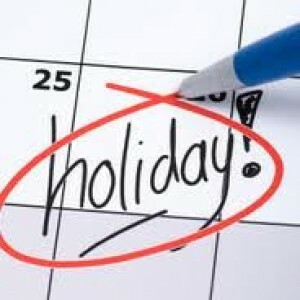 According to a survey conducted by the Chartered Management Institute, only half of UK managers booked a summer holiday this year, whilst 35% put their annual holiday plans on hold. 69% of those not taking a holiday cited their workload as a reason why. Even for those taking some time off, 12% planned to check their email daily, 19% said they would check their mail most days, and 26% planned to check at least once or twice a week. Furthermore, holiday time led to people putting in extra hours of work prior to taking leave – 25% of those surveyed said that they worked an extra 8 hours the week before their holiday. In the US, the situation is the same; 61% of employees said that they planned to work during their break. 38% planned to spend time reading emails, 32% said they would access work-related documents whilst on holiday, 30% planned to take work phone calls, and 20% would complete work tasks if asked by a colleague, boss or client. The point of taking leave is for employees to rest, relax and come back to work energised and revitalised. Continuing to work over their holiday means that workers don’t get a chance to fully recover from the stresses of office life, and in the end, productivity and creativity can suffer when drained employees come back to work. This is, of course, not even taking into account the health benefits of a holiday – stress and exhaustion take an incredible toll on the body, and overworked employees may end up taking more sick leave throughout the year. Finally, allowing employees time off to relax can result in an all-round boost for office morale. Respect other people’s schedules.Don’t bother them with emails or calls when they have taken time off, unless the matter is extremely urgent. Avoid constantly checking your devices while on holiday.If you absolutely have to remain connected to work whilst on holiday, allocate a specific day, or certain time of day when you will check and reply to emails, text messages and missed calls. Indeed, many holiday retreats all over the world are now offering “digital detoxes”, where there is no Wi-Fi signal and visitors are encouraged to hand over their electronic devices. For example, St. Vincent and the Grenadines in the Caribbean offer special digital detox packages, whilst a Californian company named “The Digital Detox” organises retreats and getaways focused on meditation, relaxation and gadget-free time away.